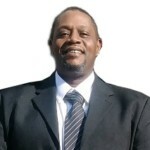 Funeral Services for Yauseaffe Leateafee Hunt, age 44, will be Saturday, April 13, 2019 at 1:00 PM in the Chapel of Mercer Brothers Funeral Home. Burial will follow in Mt. Olivet Cemetery. Mr. Hunt died Monday, April 8, 2019 at Humboldt General Hospital in Humboldt, Tennessee. Visitation for Mr. Hunt will begin Friday morning, April 12, 2019 from 10:00 AM until 7:00 PM at Mercer Brothers Funeral Home. The family will receive friends from 6:00 PM until 7:00 PM. Mr. Hunt will lie-in-state at Mercer Brothers Funeral Home on Saturday morning, April 13, 2019 from 9:00 AM until time of service. For additional information, please contact Mercer Brothers Funeral Home at 731-423-4922.